MMM Nigeria Founder, Sergey Mavrodi dies at 62 of heart Attack. The news has spread the whole social media and internet . According to the news posted on PO of MMM participant website’s dashboard; the tragic event took place on March 26, leader and ideological mastermind — Sergey Mavrodi — left his life. In the street, he felt unwell and complained of weakness and heartache. 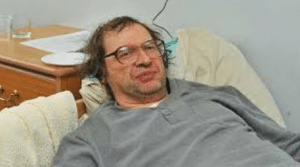 A passer-by called an ambulance, Sergey Mavrodi was hospitalized, alas, he couldn’t be saved. Sergey Mavrodi died at the age of 62. In this regard, the МММ System shifts to a “pause” mode. It is impossible to provide and get help; Mavros don’t grow. In the near future, Administration will take a decision concerning MMM’s future and report on it officially. Sergey Mavrodi devoted his life to serving other people. He abstained from conveniences and material benefits, communication with his family and friends in order that no one could influence him and the System. Sergey Mavrodi worked until his dying day: without holidays and vacations. Mr Mavrody always felt his responsibility for the participants and the System. He never pursued any self-interest. Mr Mavrodi, long before the cryptocurrencies emergence, predicted that the modern financial system would become a thing of the past. While today we can see that many of Mr Mavrodi’s predictions have already come true: alternatives to fiat money have appeared and they become increasingly widely disseminated. Let us remember the principles that Mr Mavrodi defended: mutual aid and justice; and strive to implement those principles in our life. This will be our best contribution to Mavrodi’s mission. Sergey Mavrodi is a great man who managed to unite a huge number of people worldwide in the struggle for a single purpose. MMM was his life’s work; he dreamed of changing the world. Sergey Mavrodi, you will always be in our hearts! Should Nigerians whose money are stuck in MMM rejoice or what? Well, I don’t know. What will be the fate of MMM again? I don’t know. It is said; MMM system is put on pause mode right now. Let’s watch as the whole drama unfold itself.